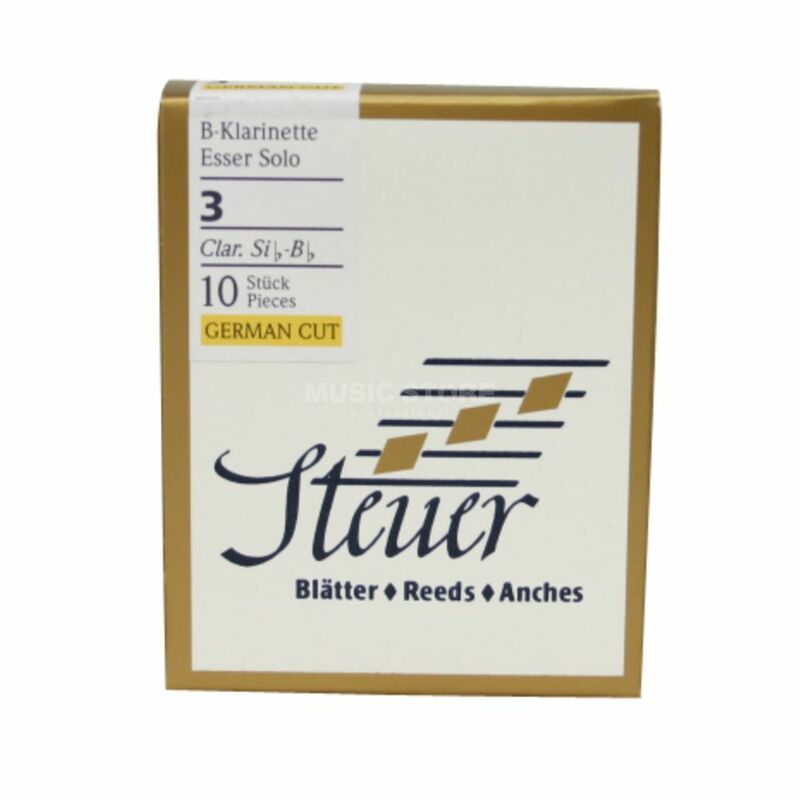 The Steuer Esser Solo Bb German System Clarinet Reeds Strength 2.5 Box Of 10 is suitable for traditional German Mouthpieces as well as older instruments. Ideally, these reeds are recommended for German medium open mouthpieces and compliment all styles of playing. Great attention is paid to the quality of production and finishes of these 2.5 strength reeds.